Participants explore what it means to lead and begin to answer the question ‘What type of leader do I want to be?’ After examining a number of leadership frameworks, participants begin to build connections with their own style and leadership approach. There is a focus on building self-awareness and an understanding of their approach to leadership. In addition, strategies for building resilience, mindfulness and wellbeing are also explored along with ways to overcome challenges and increase resourcefulness. As participants explore their own communication style and its impact on others they begin to build greater awareness of and appreciation for how they can utilise various communication styles to more effectively connect with others. The module also focuses on ways to effectively influence and negotiate across different levels, including interpersonal, team, and organisational. Participants consider the elements that define high-performing teams and the impact and responsibilities they have on team performance. In addition, the module focuses on the importance of trust in effective leadership and across teams. Participants develop strategies for increasing team collaboration, and ways to motivate and inspire other staff. Participants focus on leading inspiring, inclusive environments, through an understanding of the school in its broader context and its impact on leadership. System and school influences, such as AITSL standards, will also be explored in this module. Additionally, participants work through and apply the five dimensions of effective leadership to their own context as a school leader. At the beginning of the program, participants undertake a capability assessment to evaluate their ability and confidence in key areas. Results from this simple assessment support each participant to develop a personal action plan to help them achieve their developmental objectives. 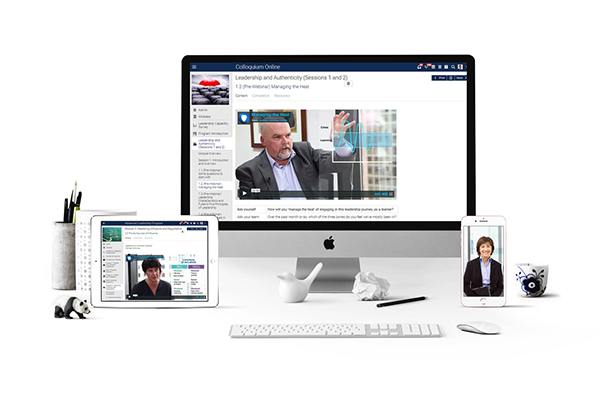 Throughout the program participants engage in six live online sessions, focused on rich discussion and debate, relevant to each topic area. Accessible from any mobile or desktop device, and conducted outside of regular classroom hours, these sessions create a regular connection point enabling collaborative exploration of key ideas and concepts. The Personal Leadership Project is an outcome-driven activity which focuses on opportunities to lead positive change within the school, as well as personal leadership growth. The Women’s MLP is a five month professional development program for female school leaders. The program is designed to help aspirant and existing middle leaders to better understand and take ownership of their role as leaders. It focuses on building interpersonal skills and awareness to enable participants to increase relational trust and overcome everyday challenges that arise within the school. The program combines rich, multi-media learning resources with peer level discussion and collaboration. Additionally, the program assists female leaders to create powerful, life-long professional networks. The Women’s MLP is designed for a wide range of positions including curriculum and subject leaders, heads of departments and year level leaders, lead and expert teachers and teachers in positions of added responsibility or exercising leadership in other capacities. "As a woman in a middle leadership position in a school, the information and interactions affirmed for me that I wasn’t alone in what I was experiencing, and that my thoughts and opinions were valid and realistic given the topics we explored. I found the peer coaching to be exceptionally rewarding, and the guidance and resources have enabled me to reflect on my practice deeply and practically. It really was a great experience for me and something I would highly recommend to others." Establishing key leadership behaviours and mindsets is critical at a middle leadership level, as individuals take an important step forward from managing self to managing others. The Women’s MLP aims to ensure participants build up a holistic framework for leadership that is harmonious with the needs of their school community.